The Russian Postal Service through its Press Secretary, Daniil Skidan in an interview with Radio Moscow announced that it would expand the sale of alcohol at rural offices. Mr. Skidan stated that 3200 rural post offices began selling beer in October 2018 both to expand the profit margins of these offices and to offer an outlet for quality alcohol in these underserved areas. Most revealing in this interview with Radio Moscow was when Mr. Skidan noted that rural Russia has a problem with dispensing certified alcohol in rural areas. He noted that fake alcohol throughout Russia was causing 1200 or more deaths per year according to Rospotrebnadzor, The Federal Service for Supervision of Consumer Rights Protection and Human Well-Being. “The emphasis is on rural post offices that provide the public with access to quality certified alcoholic products,” he said. The experiment must have been deemed a success as the service will be expanded. Although Daniil Skidan did not reveal the extent of the current expansion into alcohol sales at the Post Office, he did note that currently only 5% of Russian Post Offices sell beer. Customers of the Post Office were quick to express frustration with a service as it dabbles in becoming a convenience store. Comments on news stories about the new beer sales complained about the lack of the ability to deliver postal services due to short staffing and long lines. On the online Social Media Platform VKontakte consumers expressed their frustrations. One user commented about a recent experience at the local Post Office, by posting a picture of the beer for sale with his comment, “This left only one cashier position free, which was already witnessing an involved discussion about bed linen. So now we can expect the local winos to hold things up even more,” he lamented about the bottles, priced at up to 135 roubles ($2; £1.60) a piece. Not in reaction to the comments that were being posted while the interview was being aired, but rather in explaining the decision, Mr. Skidan that it was not just about making money, “The main focus is on rural branches, which will give the public access to high-quality, legal alcoholic beverages,” he said. “This is important because over 1,200 people are poisoned by low-quality alcohol every year.” Again, reiterating the scourge of fake alcohol that plagues Russia. The Russian Post has been under government pressure to modernize amid frequent complaints about inefficiency, mail theft and unprofitability. Mr. Skidan noted that Moscow customers would not see alcohol sold in their post offices. 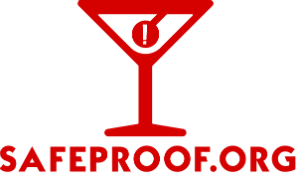 The important aspect of this announcement for readers of SafeProof is that Government Officials in another Country have openly admitted that they are fighting against the sale of fake alcohol. It is important that governments around the world openly communicate to their citizens that fake alcohol is killing people everywhere.